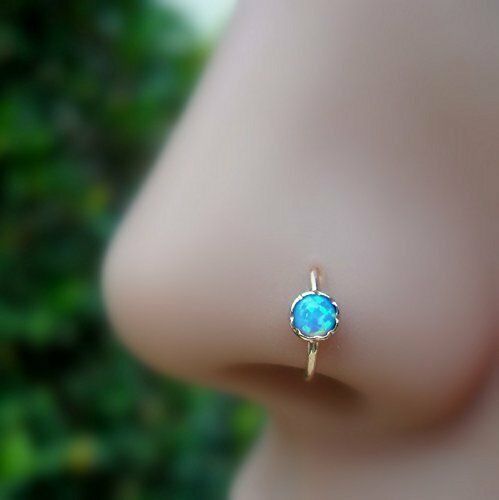 This listing is for a single 14k solid yellow/rose/white gold nose ring hoop set with a 3mm stone. Available in 20g to 16g. Available with other stones. Available in 14k solid yellow gold, 14k solid rose gold or 14k solid white gold. Please select your preferences in the options at the top right of this page. If you have any questions about this product by Sampson Jewelry, contact us by completing and submitting the form below. If you are looking for a specif part number, please include it with your message.